If you own a phone or a tablet, you should be able to run whatever software you want on it. It seems like a simple truth, but there are a surprising number of hurdles in the way. Most pressingly, if the manufacturer of that phone or tablet wants to, they can misuse the law to limit your control over the device long after your purchase. This week, EFF has filed a petitionwith the Librarian of Congress and the Copyright Office to extend and expand the exemption that allows you to "jailbreak" your phone from those restrictions, without running afoul of theDigital Millennium Copyright Act (DMCA). Congress may not have envisioned iOS or Android when it passed the DMCA, but it recognized that the restrictions on "circumventing" of DRM and similar mechanisms put a real burden on this sort of lawful speech. So it created a procedure to allow people to get specific exemptions—categories of activities where users are free to make fair uses of copyrighted works withoutalso having to worry about anti-circumvention laws. Every three years, the Librarian of Congress and the Copyright Office are tasked with holding a rulemaking proceeding to punch some of those breathing holes into an otherwise smothering blanket rule. EFF fought for—and received—an exemption to cover jailbreaking phones in 2010 and 2012. But thanks to the frustrating way DMCA exemptions are considered, groups like EFF have to return to the Copyright Office and Librarian of Congress every three years and argue the case anew. This is an unnecessary drain on the public—after all, it's not like the arguments against jailbreaking have gotten any better—but we hope to use the opportunity to renew the rule for phones and expand it to tablets as well. 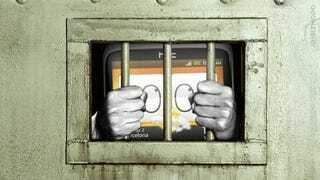 Many folks find it strange that copyright law has anything to say about jailbreaking phones and tablets. It seems intuitive that copyright law shouldn't put severe limits on how we use the devices we own. But because so much of our technology relies on a layer of software—and because that software is usually copyrighted—the law has a foothold that can be used and abused to increase manufacturer control of secondary uses and markets, and to discourage competition. These are just a handful of the myriad unintended consequences—where copyright law has inserted itself not just into your pocket, but into your living room, your car, and as petitions filed by medical device researchers can attest, into your body itself. It would of course be better for the public interest if DRM wasn't on these technologies in the first place. Barring that, the law would make more sense if it were narrowed to only cover infringing activities—after all, why should any fair use be restricted by the DMCA? That fix is achievable: in fact, Rep. Zoe Lofgren and a bipartisan coalition of representatives proposed something similar in the Unlocking Technology Act last year. But until we can get the fundamental change that we need, EFF will fight to make the world a safer place for people who want to have full control over the technology they own. When it comes to phones and tablets, that starts with being able to install any software you want. This article first appeared on Electronic Frontier Foundation, and is republished here under Creative Commons license.